The last millennium is a milestone in our history when concepts and ideas of design have flowered in Indian architecture. 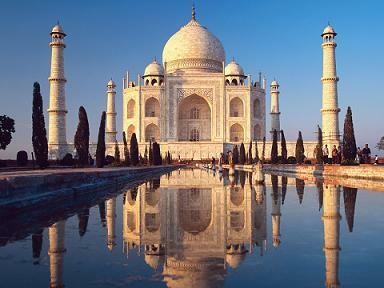 As a result, India’s celebrated buildings and monuments have become the cynosure of the world’s eyes. 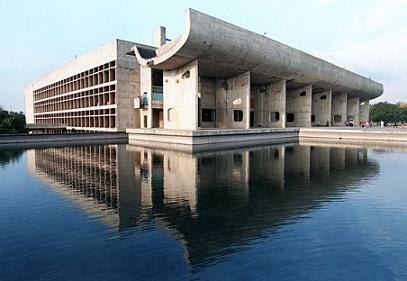 According to many leading architects of India, Indian architecture is difficult to define because so many streams of artistic genius have enriched it. 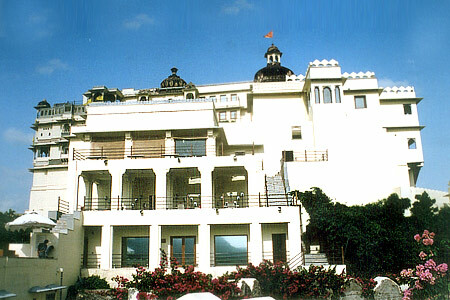 While Vastushastra and Sthapatyashastra are the original sciences which developed during the early centuries of the last two millenniums, later, building and design styles came from the Mughals, Rajputs, the British, the French, the Portuguese, the Spanish, the Moors and many others who travelled to India for trade or to conquer and settle down. The earliest marvels of architecture in India are the Hindu and Buddhist caves found in the Sahyadri Mountains, which run down the west coast of India like a green ribbon. In these rocky crevasses, monks, artists and traders carved over 2000 caves, some as temples, some as Buddhist Viharas, some as Jain monuments and hundreds others as just dwellings or workplaces. Thus, Maharashtra earned its place in the Guinness Book of Records as the region with the highest incidence of caves in any region of the world. Cave architecture is said to have been brought to India by Greeks and Romans, who were used to making catacombs in their own countries during the period of dire oppression of Christians. 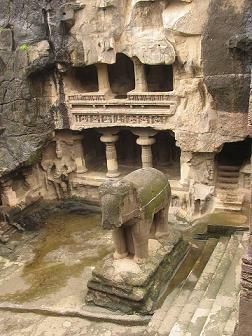 In India, however, caves were larger, more open and full of sculptures and frescoes as well as inscriptions. Later, from cave temples and Viharas, the anonymous architects graduated to carving temples out of rocks and stones till the art of temple building reached its zenith in the 8-9th centuries with Khajuraho, Madurai, Chidambaram, Mahabalipuram, Ellora, Gangaikondacholapuram, Tanjore, Vijayanagar, Srirangapatnam and other cities came to be the sites of immortal shrines and temples. From those early days to this day, architecture in India has presented a colourful mosaic of styles and beauty. 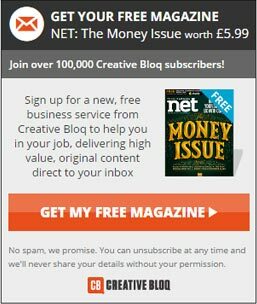 “The 20th century can be divided into two halves for checking out architectural styles,” say famous architects, “In the first 50 years of the century, we were a colony of Britain and heavily influenced by British concepts of life. Beautiful offices and institutions were built in the Gothic or Indo Saracenic style in India’s cities, especially Madras, Calcutta and Mumbai. The two main railway headquarters in Mumbai, the University of Bombay, the Government Offices in Madras, Victoria Memorial in Calcutta - all these are the wonders of the 19th century which impacted the first fifty years of the 20th century. “Though modern, 20th century architecture seems of immediate interest to us, India has a vast reservoir of architectural styles,” say other designers, including Shahi Prabhu, who designed the famous modern Siddhivinayak temple in Mumbai. 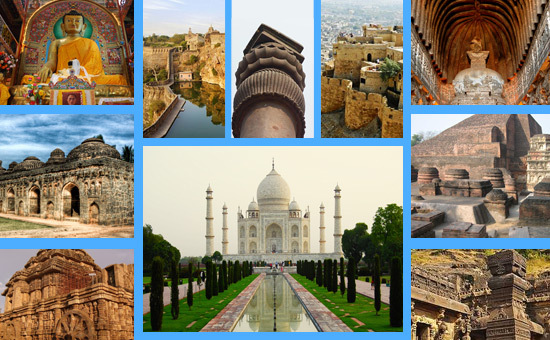 He believes that the history of architecture in India is reflected in nine wonders built during the past 1000 years. “India is a rare mix of cultures,” says Prabhu, “Indian architecture has been through many overlays of periods and styles. As centuries progressed, there were many invasions which were internalised. Each foreign intervention transformed itself into a new concept and all styles co-existed peacefully in the country. Therefore, following the architectural patterns in India through the millennium becomes a wondrous trail and to choose the ten wonders of architecture in India over the past millennium would be an interesting exercise. 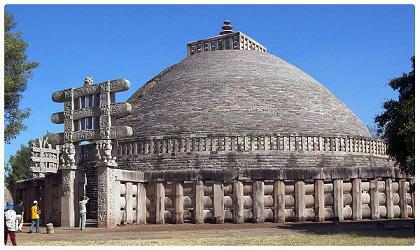 “The earliest monument in this group of nine wonders is the Stupa of Sanchi in Madhya Pradesh. Built in the 2nd century B.C. It is typically Buddhist in character. The central shrine is encircled by the Pradakshina Path and the railing with its four toranas (gates) which depict anecdotes from the Buddha’s life. This monument is the inspiration for many Buddhist and Hindu structures in the following centuries. “The Kailasa temple in Ellora in Maharashtra, built in the 8th century, represents a unique conjunction of two dominant styles - Buddhist cave architecture and Hindu temple style. The temple is an enormous monolithic rock carving in an unusual form. 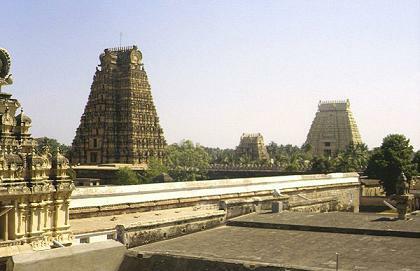 The main temple has a pillared Mandapa with a unique pattern on the roof top consisting of lions within concentric circles. 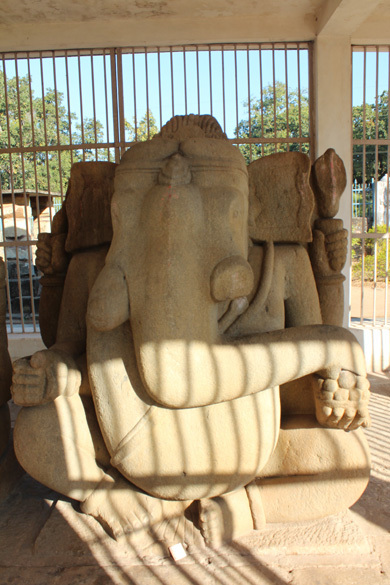 Five subsidiary shrines around and two gigantic Deepasthambhas are carved directly out of stone. 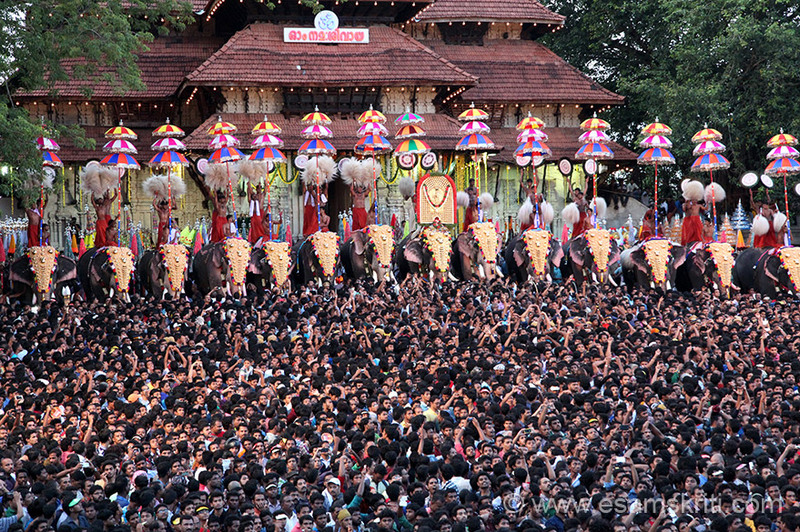 This temple is a wonder of the world and leaves a lasting impact on every visitor. “Space is an overpowering concept in Indian architecture and the city of Srirangapatanam in Karnataka is a marvellous example of this theory. The entire city here is an organisation of spaces with the temple as the focus. Built in 14th century, it is an entire temple city which represents the physical transformation of Vedic principles and concepts of the cosmos. The city is located on an island in the river Kaveri and comprises the temple and seven concentric walls, each with a Gopuram receding in size. “Similarly, the step wells of Gujarat have been cited as an exquisite example of subterranean architecture, lying below the earth’s surface. 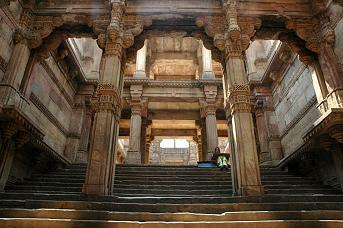 The famous step well of Adalaj, built in the 15th century has three entrances which meet in a huge square platform, from which a stepped corridor descends downward. An octagonal shaft terminates in a square pond for bathing. Sculptural ornamentation is a unique feature of the Adalaj well. “The period of Mughal rule saw the development of beautiful gardens, palaces, forts, mosques and cities. From Deccan to Kashmir, urban complexes developed during the rule of Akbar and Shah Jehan. 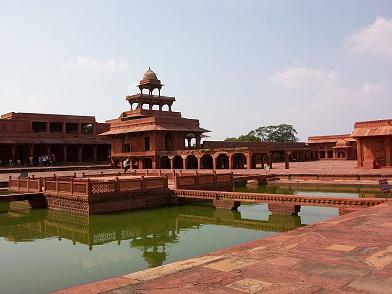 The palace complex at Fatehpur Sikri, built in the 16th century, is a significant example of Mughal urban design. It is one the most sophisticated and grand complexes of its kind and yet not gigantic or disproportionate. In the complex, there are several series of interlinked courtyards which culminate into the great mosque and the Gateway of Triumph or the Buland Darwaza. This city is a symbol of the confluence of Islamic, Hindu and Buddhist principles of design and represents Akbar’s philosophy of an egalitarian society. “The Mughal design of the paradise garden was based on the double axis symmetry and four quadrants or Char Bagh. This concept reached its perfection in the layout of the fabulous Taj Mahal, where the building itself is placed at the end of the garden as a climax to the plan. Every single element of design is perfected here. The four minarets are intentionally tilted outwards to correct the optical error. Even today, the Taj commands one’s attention because of its pristine glory and purity of existence. It is unsurpassed for its visual ambience and the quality of marble ornamentation such as relief carving, lace-like friezes or jalis and exquisite inlay work. “With European colonisers, came new values and industrialisation. Europe was itself transformed by these winds of change and India was affected by the movements which stirred Britain and Europe. 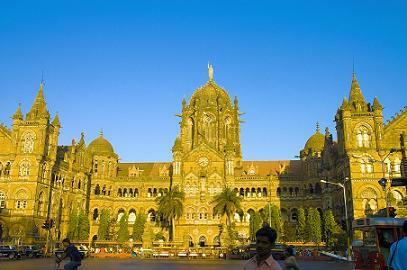 The Victoria Terminus, now known as the Chhatrapati Shivaji Terminus of Mumbai, was built in 1878 and designed by F.W. Stevens. It is the finest Victorian Gothic style building in India which was designed to offer the exhilaration of arriving in the megalopolis to the millions who came to it through this grand railway station. 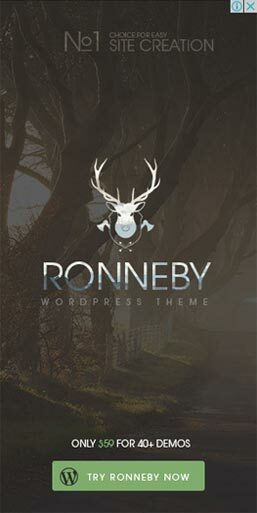 However, the ornamentation of the exterior and interior surfaces is of the highest standard and combines neo-Gothic features with tropical and Saracenic motifs, forming a style which came to be known as Bombay Gothic. “Lutyen’s plan for Delhi would undoubtedly be termed the most ambitious of all architectural projects in the history of the British empire. 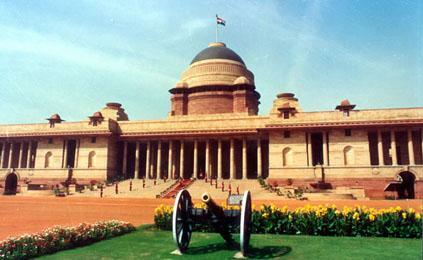 The Viceroy’s Palace, (Rashtrapati Bhavan) is a strong political statement as was Akbar’s Fatehpur Sikri. It was the symbol of British supremacy and power in the orient. Its colonial character was Indianised by Lutyens, thus continuing the process of assimilation and integration. 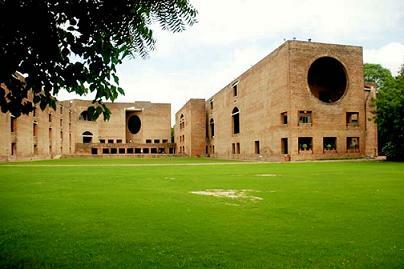 Add to this the Indian Institution of Management in Ahmedabad by Louis Kahn and you have the ten most beautiful examples of the flow of architecture in India.